When Your Mature Business Approach Stops Working…. If you have been in the business for over five years, chances are you are acting like a ‘mature’ agent. You are getting most of your business from repeat and referral business. You have built up a strong enough business that you do most of your business based on pre-built trust and confidence. You are admired in your office (and perhaps your whole company) for your leadership and mentorship. The challenges of the ‘mature’ agent. Because the mature agent gets most of her business from referrals, she may not be prepared to compete against more aggressive agents—or agents trained with the latest presentation methods. This happened with one of my mature agents, Martha. She was referred to George and Betty Smith, who wanted to sell their home. But, George and Betty also were referred to John Schlock, of ABC Realty. Martha knows John Schlock, and she thinks his last name is appropriate…… Of course, though, she can not say this to potential clients George and Betty. Martha’s in kind of a bind here. She relies on word-of-mouth for her business, and she relies on this word-of-mouth building her credibility to the point where she has no need to build it herself. This works fine when she is not competing with another agent, (and especially not someone like John Schlock),and the sellers already think she is the best thing since sliced bread. It does not work so well when she is competing with another agent—especially one who will tell the client whatever they want to hear! Martha relies solely on her ‘known’ reputation. Martha has no testimonials in writing, no Professional Portfolio, no visual marketing presentation, and no statistics systematized to teach George and Betty the principles of how real estate works. Why not? Because, Martha does not need these credibility-builders very often, like those newer agents need. And, when she does, it is too late to create them. This ‘mature business’ attitude results in lost listings or over-priced listings. This makes Martha mad, but, to do anything about it, Martha would have to admit she needs to quit acting like a ‘mature’ agent and push herself back into the growth phase. Just like the Taurus automobile, she needs to ‘re-tool’ herself. You, dear reader, may be like Martha. Congratulations on taking the risk to even look at your business today. Many ‘Marthas’ in real estate are just waiting out the inevitable–their descent into decline. 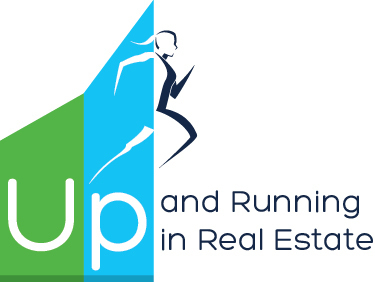 Am I relying almost solely on my reputation to list properties at the right price? Am I losing listings, or pricing them too high, when I do not have strong enough credibility with sellers? Am I resisting putting my credibility statements in writing (and/or my marketing program) because I rarely need to establish my credibility? Have I introduced a new business practice into my business in the last two years? Have I looked at my business as though I was a new agent–in the last two years? What is my attitude about technology? Am I waiting for it to ‘go away’? How does one re-generate oneself and motivate oneself again? For the mature agent, it is putting those talents and skills to work for others. You need appreciation and compliments. You need to know you are needed. You need to know you are making a difference. Consider teaching and coaching others, taking part in Realtor® events, gaining a leadership role in your company. It is time for you to flex those dormant leadership skills, which will re-energize you and your career. 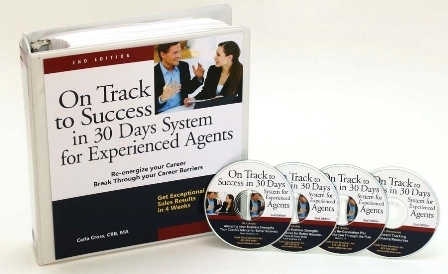 *For more tips on re-energizing your career, see the On Track to Success in 30 Days System for Experienced Agents, only for the seasoned agent, which includes a 4-week re-generation plan for dramatically increasing your business.